Nick Sousanis is the first academic to compose his entire dissertation in comics form. He will discuss his dissertation, which argues through its very form for the importance of visual thinking in teaching and learning. His visual-verbal work expands the possibilities for engaging comics within academia while ultimately challenging and reimagining what scholarship can be. Get an inside look at his book, Unflattening, and hear how his ground breaking work can change the way you think about academic writing. Nick Sousanis is currently a Postdoctoral Fellow in Comics Studies at the University of Calgary. He received his doctorate in education at Teachers College, Columbia University in 2014, where he wrote and drew his dissertation entirely in comic book form. Titled Unflattening, it argues the importance of visual thinking in teaching and learning, and it is now a book from Harvard University Press. Before coming to New York City, he was immersed in Detroit’s thriving arts community, where he co-founded the arts and culture site thedetroiter.com and became the biographer of legendary Detroit artist Charles McGee. He developed and taught courses on comics as powerful communication tools at Teachers College and Parsons in NYC, and will be offering Comics as a Way of Thinking at the University of Calgary in Fall of 2015. Nick’s work has been featured in such places as The Chronicle of Higher Education, Publishers Weekly, Microsoft’s Daily Edventures, and Russia’s Theory & Practice for the new possibilities for scholarship that it represents. In addition to numerous academic conference presentations, he’s been featured in several academic gatherings around alternative scholarship, including most recently HUMlab/Umeä University in Sweden and the CUNY Graduate Center in NYC. He has given invited public talks at Stanford University, UCLA, and Microsoft Research (which also hosted an exhibition of the work), and keynote addresses at the annual conferences of the Visitor Studies Association and the International Visual Literacy Association. Unflattening: a dissertation in comics form reimagines inquiry. Recorded video talk at Microsoft Research. Sousanis, N. (2012). Comics as a tool for inquiry. Image-text conference paper in Juniata Voices, 12, 162-172. Sousanis, N. (2011, December 2). Rethinking (through) comics. Expended outline of Pictorial-talk delivered at HASTAC Conference. "The Shape of Our Thoughts". Comics essay from his website. Also published in Summer 2012 in Visual Arts Research, 39(1). "The Importance of Seeing Double". Comics essay from his website. Also published in March 2011 in Integrative Pathways, 33(1). "Mind the Gaps". Comics essay from his website. Also published in 2011 as a chapter in Vinz & Schaafsma On Narrative Inquiry, New York: Teachers College Press. Smith A., Hall M., and Sousanis N. (2015) Envisioning possibilities: visualising as enquiry in literacy studies, Literacy, 49(1), 3–11. Sousanis, N. (2011) Reuniting visual and verbal: Integrating comics for expansive thinking across the curriculum. AERA- American Educational Research Association conference proposal. Goble, R. R. & Sousanis, N. (2010) A different kind of diversity: Collaboration across content areas intensifies learning. Journal of Staff Development 31(5), 34-37. Science has long recognized the challenges associated with interdisciplinary research – from the tacit norms associated with the discipline bound university department to the difficulty inherent in communicating and collaborating across disciplines. Despite this fact, we have continually struggled with overcoming the challenges arising from interdisciplinary interaction. This is a particularly complex form of collaborative cognition where knowledge from varied fields needs to elicited and integrated. In this talk I first discuss interdisciplinary research in the context of team science. I focus on how to develop a science of team science that can support a broad swath of group and team researchers such that we can examine basic and applied issues of tremendous societal importance. Second, I narrow my focus to team cognition, with particular emphasis on theory developed to understand complex problem solving. I describe the macrocognition in teams framework, a multi-level model of collaboration developed to scaffold research on knowledge building and the generation of solutions to complex problems. My goal is provide macro and micro level perspectives on collaborative cognition and show how a multidisciplinary approach to theory and practice can contribute to our understanding of complex problems. Dr. Stephen M. Fiore, is Director, Cognitive Sciences Laboratory, and faculty with the University of Central Florida's Cognitive Sciences Program in the Department of Philosophy and Institute for Simulation & Training. He is President of the Interdisciplinary Network for Group Research and a founding Program Committee member for the annual Science of Team Science Conference. 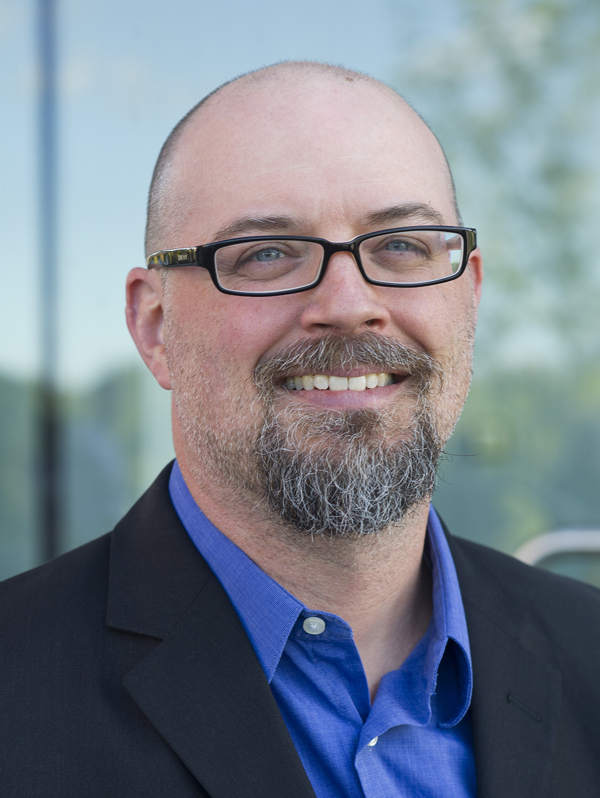 He maintains a multidisciplinary research interest that incorporates aspects of the cognitive, social, organizational, and computational sciences in the investigation of learning and performance in individuals and teams. His primary area of research is the interdisciplinary study of complex collaborative cognition and the understanding of how humans interact socially and with technology. Dr. Fiore has been a visiting scholar for the study of shared and extended cognition at École Normale Supérieure de Lyon in Lyon, France (2010) and he was a member of the expert panel for the Organisation for Economic Co-operation and Development's 2015 Programme for International Student Assessment (PISA) which focuses on collaborative problem solving skills. He has contributed to working groups for the National Academies of Science in understanding and measuring "21st Century Skills" and he is currently a committee member of their "Science of Team Science" consensus study. As Principal Investigator and Co-Principal Investigator he has helped to secure and manage over $20 million in research funding. He is co-editor of recent volumes on Shared Cognition (2012), Macrocognition in Teams (2008), Distributed Training (2007), Team Cognition (2004), and he has co-authored over 150 scholarly publications in the area of learning, memory, and problem solving at the individual and the group level. Wiltshire, T.J., Lobato, E.J.C., McConnell, D.S., & Fiore, S.M. (2015). Prospects for direct social perception: A multi-theoretical integration to further the science of social cognition. Frontiers in Human Neuroscience. 8:1007. Fiore, S. M., Wiltshire, T. J., Oglesby, J. M., O¹Keefe, W. S., & Salas, E. (2014). Complex collaborative problem solving in mission control. Aviation, Space, & Environmental Medicine, 85(4), 456-461. Wiltshire, T. & Fiore, S.M. (2014). Social cognitive and affective neuroscience in human-machine systems: A roadmap for improving training, human-robot interaction, and team performance. IEEE Transactions on Human-Machine Systems, 44(6), 779-787. Fiore, S.M., Wiltshire, T.J., Lobato, E.J.C., Jentsch, F., Huang,W.H., & Axelrod, B. (2013). Towards understanding social cues and signals in human-robot interaction: Effects of robot gaze and proxemic behavior. Frontiers in Psychology: Cognitive Science. 4:859. Fiore, S.M., Phillips, E., & Sellers, B. (2014). A transdisciplinary perspective on hedonomic sustainability. Ergonomics in Design. 22(2), 22-29. Bedwell, W. L., Fiore, S. M., & Salas, E. (2014). Developing the future workforce: An approach for integrating interpersonal skills in the MBA classroom. Academy of Management Learning & Education, 13(2), 171-186. Asencio, R., Carter, D. R., DeChurch, L. A., Zaccaro, S. J., & Fiore, S. M. (2012). Charting a course for collaboration: A multiteam perspective. Translational Behavioral Medicine: Practice, Policy and Research, 4, 2, 487-494. Salazar, M. R., Lant, T. K., Fiore, S. M., & Salas, E. (2012). Facilitating innovation in diverse science teams through integrative capacity. Small Group Research, 43, 5, 527-558. Wildman, J. L., Shuffler, M. L., Lazzara, E. H., Fiore, S. M., Burke, C. S., Salas, E., & Garven, S. (2012). Trust development in swift starting action teams: A multilevel framework. Group and Organization Management, 37(2), 137-170. Our CoDRoi Visiting Scholar will be offering two seminars. Space is limited, please RSVP here. The ascendancy of transdisciplinarity in problem-oriented research and tensions in the discourses of interdisciplinary over the past few decades. "Interdisciplining Digital Humanities: Boundary Work in an Emerging Field"
A historical and comparative perspective on an emerging interdisciplinary field. Julie Thompson Klein is Professor of Humanities Emerita in the English Department and Faculty Fellow for Interdisciplinary Development in the Division of Research at Wayne State University. She has also been a Visiting Foreign Professor at Shimane University in Japan, a Fulbright professor in Nepal, and Foundation Visitor at the University of Auckland in New Zealand. Holder of a Ph.D. in English from the University of Oregon, Dr. Klein is past president of the Association for Integrative Studies (AIS) and former editor of the AIS journal, Issues in Integrative Studies. Her fields of teaching have included Digital Humanities and American Cultural Studies. Her books include Interdisciplinarity (l990), Interdisciplinary Studies Today (1994), Crossing Boundaries (1996), Transdisciplinarity (2001), Interdisciplinary Education in K-12 and College (2002), Humanities, Culture, and Interdisciplinarity: (2005), Creating Interdisciplinary Campus Cultures (2010), and Interdisciplining Digital Humanities (2015). She was also Associate Editor of the Oxford Handbook on Interdisciplinarity (2010) and is co-editor of the University of Michigan Press series Digital Humanities @ digitalculturebooks. A recipient of the Kenneth Boulding Award for outstanding scholarship on interdisciplinarity, Klein has advised federal agencies on interdisciplinary research and education while serving on national task forces. She has also spoken on interdisciplinarity throughout North America, Latin America, Europe, Russia, New Zealand and Australia. Klein, J. T. (2015). Interdisciplining Digital Humanities: Boundary Work in an Emerging Field. Ann Arbor: University of Michigan Press. Klein, J. T. (2010). Creating interdisciplinary campus cultures: A model for strength and sustainability. San Francisco: Jossey-Bass. Klein, J. T. (2005). Humanities, culture, and interdisciplinarity: The changing American academy. Albany: State University of New York Press. Klein, J. T.(2014). Discourses of transdisciplinarity: Looking back to the future. Futures, 63, 68-74. Interdisciplinarity: An Overview. Presented at First Global Conference on Research Integration and Implementation: "Interdisciplinarity Then, Now, and Into Networked Futures." (recorded Sept. 2013). Klein, J. T. (20 October 2012). Notes Toward a Social Epistemology of Transdisciplinarity. Centre International de Recherches et études Transdisciplinaires. Klein, J. T. (2005). Integrative learning and interdisciplinary studies. Peer Review, 7(4), 8-10. Klein, J. T. (2004). Interdisciplinarity and complexity: An evolving relationship. Emergence: Complexity and Organization, 6(1). pp. 2-10. Interdisciplinarity and the Digital Humanities: Profiling Julie Thompson Klein. From Hastac.org. (2012). Digital practitioner interview: Julie Thompson Klein. From DigitalCulture.org. (2011). Science is a growth industry, education is a growth industry, academic publishing is a growth industry. Should we be concerned about whether the growth of the knowledge economy is sustainable? Can we have too much knowledge, and has knowledge become over-priced? I examine whether the current growth rate of academic research is unsustainable and explore how the concept of sustainability can be applied to research production. Are we producing a wasteful overabundance of knowledge? Other than the unpleasant fact that you can't possibly read everything, is precipitous growth in the knowledge industry a bad thing? Environmental sustainability creates a paradox: on the one hand sustainable use of natural resources requires that we consume less overall, but, on the other hand, development of more efficient technologies for the long run requires big investments in R&D in the short run. Likewise, disciplinary standards of rigor vouch for the quality of research results, but ad hoc interdisciplinary enterprises promise fast results at the expense of dropping rigor. I call attention to some means of accelerating research production by increasing efficiency, and I also argue that friction in research practices may improve the quality of research at the cost of slowing it down. Dr. Evelyn Brister is an Associate Professor of Philosophy at Rochester Institute of Technology and a Fram Faculty Fellow for Applied Critical Thinking. A philosopher of science, she studies the importance of interdisciplinary research—and how tough it is to do it well. She knows interdisciplinary research first hand, having earned an MS in Environmental Science at RIT, where she worked on an historical survey of western New York forests. She also applies her knowledge by serving on the board of a local non-profit, The Friends of Washington Grove, that aims to preserve a unique old-growth forest within the City of Rochester. 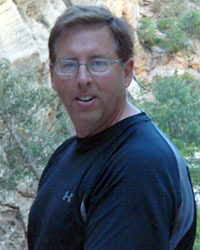 Dr. Brister has published widely on a range of topics in philosophy of science, epistemology, and environmental ethics. Recent work has examined the ethical duties of climate scientists, the place of values in shaping scientific inquiry, and standards of evidence for interdisciplinary research collaborations. As Fram Faculty Fellow for Applied Critical Thinking, Dr. Brister has been expanding her work on scientific objectivity to examine the importance of responsible knowing, or the conditions under which we assimilate, publicize, and apply new knowledge. In the coming months she will be working with students and faculty to develop cross-disciplinary course modules illustrating how Applied Critical Thinking is exhibited across the RIT curriculum. Disciplinary Capture and Epistemological Obstacles to Interdisciplinary Research. Studies in History and Philosophy of Biological and Biomedical Sciences. Forthcoming. Global Warming and the Problem of Failed Intentions. Philosophy and Public Issues 3 (1, 2013): 247-271. Diversification of Land Management Goals and Strategies in Response to Climate Change. Ethics, Policy, and Environment 16 (1, 2013): 26-28. Distributing Epistemic Authority: Refining Norton’s Pragmatist Approach to Environmental Decision-making. Contemporary Pragmatism 9 (1, June 2012): 185-203. On Scientific Advocacy: Putting Values and Interests in Their Place. Science at the Frontiers: Perspectives on the History and Philosophy of Science. Ed. William Krieger. Lanham, MD: Lexington Books, 2011. 157-174. Print. Interdisciplinarity is among the most talked about but most misunderstood topics in education and research today. Seen as the savior of education and society, or the seeds of destruction, proponents and critics talk past each other. Seldom do they seek common terms; typically, they mean very different approaches when they refer to interdisciplinarity. They erroneously dichotomize disciplines and interdisciplines, confuse specialization and synthesis, and misconstrue “integration.” They also date the historical turn to interdisciplinarity too late. Based on the first comparative and critical history of interdisciplinary initiatives and programs in the modern university, this lecture presents a multi-level analysis that interweaves, first, a discussion and criticism of the ideals, theories, and practices associated, sometimes contradictorily, with notions of interdisciplinarity; and second, a social, institutional, and intellectual history of efforts identified or presented as interdisciplinary over the 140 years of the modern university. Undisciplining Knowledge reflects Graff’s own education and experience as an interdisciplinary scholar and teacher in new and traditional universities, and in several different interdisciplinary endeavors. Copies of Graff's books will be available to purchase before and after the presentation. Harvey J. Graff is the Ohio Eminent Scholar in Literacy Studies and Professor of English and History at The Ohio State University. A comparative social historian, he founded and directs LiteracyStudies@OSU, a university-wide intitiative and interdisciplinary program. Among his many books are The Literacy Myth: Literacy and Social Structure in the Nineteenth-Century City; The Legacies of Literacy: Continuities and Contradictions in Western Society and Culture; and Conflicting Paths: Growing Up in America. Conflicting Paths: Growing up in America (Harvard University Press, 1995). Available in the Wallace Library. Global water use has been rapidly increasing due to economic growth, increasing population, urbanization, and industrialization. Meanwhile freshwater supply has changed little and even decreased, as climate change causes desertification, reservoirs are drained, and groundwater resources are depleted unsustainably. Today, over half the world’s population lives in regions consuming nearly all of the local renewable water: the local net rainfall. To meet this intensifying scarcity, many are turning to desalinating seawater, brackish water, and wastewater. Many countries, especially in the Middle East, provide the majority of their water from desalination of seawater. Groundwater provides about 1/3 of the consumed water in the US, and is saline enough to need desalination in many regions in the US and globally. Desalinating marginally saline sources can provides other benefits, including substantial increases in agriculture yields, a decrease in soil salinization, and removing toxins that other modern processes do not remove. Costs for desalination have decreased significantly, and are often near, or within a factor of 2 of the conventional costs of river water. Global installed desalination capacity is more than doubling every 10 years, and will play an important role in combating the world’s growing water crises. However, desalination still faces substantial barriers, including energy and membrane challenges. New technologies and improved scientific understanding are crucial for combating growing water challenges. Dr. David Warsinger completed his B.S. and M.Eng at Cornell, and his PhD in Mechanical Engineering at MIT. Currently, he is a PostDoc at MIT and beginning a joint PostDoc at Harvard. David completed his graduate studies in a combined 3 years. Prior to starting his PhD, David designed heating and cooling systems and performed energy and sustainability analysis at the engineering consulting firm Arup. David is a coauthor of 18 published and 8 submitted conference or journal papers and a co-inventor on 13 filed or awarded patents. David cofounded Coolify, a startup providing cold storage for farmers in developing economies, which won the national competition for the $100k Ag Innovation Prize. Recently, David received the Institute Award for Best Research Mentor for Undergraduate Students at MIT. He has also received awards for the highest GPA in his class (M.Eng. ), numerous grants, and 8 presenter awards at conferences. D. M. Warsinger, J. Swaminathan, E. Guillen-Burrieza, H. A. Arafat, and J. H. Lienhard V, “Scaling and fouling in membrane distillation for desalination applications: A review,” Desalination, vol. 356, pp. 294–313, 2014. D. M. Warsinger, K. H. Mistry, K. G. Nayar, H. W. Chung, and J. H. Lienhard V, “Entropy generation of desalination powered by variable temperature waste heat,” Entropy, vol. 17, pp. 7530–7566, 2015. D. M. Warsinger, J. Swaminathan, L. Maswadeh, and J. H. Lienhard V, “Superhydrophobic condenser surfaces for air gap membrane distillation,” Journal of Membrane Science, vol. 492, pp. 578–587, 2015. D. M. Warsinger, A. Servi, S.Van Belleghem, J. Gonzalez, J. Swaminathan, J. Kharraz, H. W. Chung, H. A. Arafat, K. K. Gleason, J. Lienhard V, “Combining air recharging and membrane superhydrophobicity for fouling prevention in membrane distillation,” Journal of Membrane Science, 2016. H. W. Chung, J. Swaminathan, D. M. Warsinger, and J. H. Lienhard V, “Design study of multistage vacuum membrane distillation (MSVMD) system for high salinity application,” Journal of Membrane Science, vol. 497, pp. 128–141, 2016. J. Swaminathan, H. W. Chung, D. M. Warsinger, F. Al-Marzooqi, H. Arafat, and J. H. Lienhard V, “Energy efficiency of permeate gap and novel conductive gap membrane distillation,” Journal of Membrane Science, vol 502, pp. 171-178, 2016. J. Swaminathan, H. W. Chung, D. M. Warsinger, and J. H. Lienhard V, “Simple method for balancing direct contact membrane distillation,” Desalination, vol 383, pp. 53-59, 2016. Collaborative worldbuilding is a process by which students learn to think critically about social forces at play in a given place at a specific moment in history and how these forces influence the lived experiences of the people who live in the world. Students write a metanarrative describing the governance, economics, social values, and cultural influences and then populate a wiki with entries for people, places, and things and pin them to a map. Collaborative worldbuilding is useful for creative projects such as creating post-apocalyptic futures, alternate histories, or fanfiction in preexisting worlds and could be used in courses in literature, history, or other humanities. Participants will learn about the pedagogical theories underlying collaborative worldbuilding including its roots in role-playing games and will participate in the creation of a brand new world of their choosing. Trent Hergenrader is an Assistant Professor in the Department of English at the Rochester Institute of Technology, where he teaches creative writing and literature. His research focuses on creative writing studies, digital writing, and game-based learning, which he brings together in courses where students collaboratively build vast fictional worlds using role-playing games as models for their writing. His short fiction has appeared in The Magazine of Fantasy and Science Fiction, Realms of Fantasy, The Mammoth Book of Dieselpunk, Best Horror of the Year #1 and other fine places. He is co-editor of Creative Writing in the Digital Age, Creative Writing Innovations, and is currently writing a book entitled Collaborative Worldbuilding for Writers and Gamers, all published by Bloomsbury Academic. “Collaborative World Building: Bridging Critical Thinking and Creative Practice with Digital Tools.” Creative Writing Innovative Pedagogies Conference. Asheville, NC. September 2016. “Gaming, World Building, and Narrative: Using Role-Playing Games to Teach Fiction Writing.” Proceedings for the Games, Learning and Society 7.0 Conference, Madison, WI.Pittsburgh, PA: ETC Press, September 2011. “Collaborative World Building” AWP Conference. “Game Spaces: Videogames as Story-Generating Systems for Creative Writers.” Creative Writing in the Digital Age. London: Bloomsbury. 2015. http://www.bloomsbury.com/us/creative-writing-in-the-digital-age-9781472574107/ (Trent also co-edited this with Michael Dean Clark and Joe Rein). Within the university, the real meaning of ‘disciplinarity’ has been the ability of those in the academy to govern themselves. This is what is ending in an interdisciplinary age. The effects of this have already been potent. Thus to speak of the end of disciplinarity is not to announce the end of disciplines; disciplines will remain a useful way of organizing knowledge. What is ending is a particular regime of political control – a fact represented by the creation and growing importance of NSF’s Broader Impact Criterion. This talk will explore the possible future of the broader impacts criterion in an age of ‘alternative facts’. This lunchtime discussion invites faculty and graduate students to develop strategies for humanists and social scientists at RIT to work directly with the STEM disciplines as well as with non-academic stakeholders and to direct their research to policy-makers and other professionals. Robert Frodeman’s recent book Socrates Tenured (2016, with Adam Briggle) questions standards in philosophy and the humanities that favor forms of scholarship that are insular. He argues in favor of shifting norms in the humanities to increase support for public projects. Making academic research useful to the wider world seems particularly important to those in CLA who are interested in cross-field collaborations—collaborations where humanists and social scientists have something valuable to add as integrated collaborative partners to research projects in science, tech, and design. 1. Frodeman, Robert, and Briggle, Adam, 2016. Socrates Tenured: The Institutions of 21st Century Philosophy. Roman and Littlefield. 2. Frodeman, Robert, 2014. Sustainable Knowledge: A Theory of Interdisciplinarity. MacMillan/Palgrave Press. 3. Frodeman, Robert, Holbrook, J. Britt, Mitcham, Carl, and Hong Xiaonan. Peer Review, Research Integrity, and the Governance of Science – Practice, Theory, and Current Discussions. Beijing: People’s Publishing House, 2012. 4. Frodeman, Robert, 2003, Geo-Logic: Breaking Ground between Philosophy and the Earth Sciences. SUNY Press.